Stone pine, elderberry, horse chestnut or Lungau balsam poplar — whereas wild and garden herbs are well known for their healing properties and can be found in medicine cabinets and kitchens alike, the amazing capabilities of trees are only beginning to enter consciousness. Nevertheless, people have been valuing the forest’s gifts of bark, forage, resin and wood for cen-turies. The scent of regular and conifer leaves creates a relaxing sensation and encourages people to take long, deep breaths. In SalzburgerLand’s Lungau region, this knowledge was never forgotten and continues to be passed down from generation to generation to this very day. Flora Löcker is always happy to guide interested visitors through the garden of the Löckerwirt pension, where a horse chestnut tree spreads its branches with its thick, green leaves above the tables, providing pleasant shade during the hot summer. 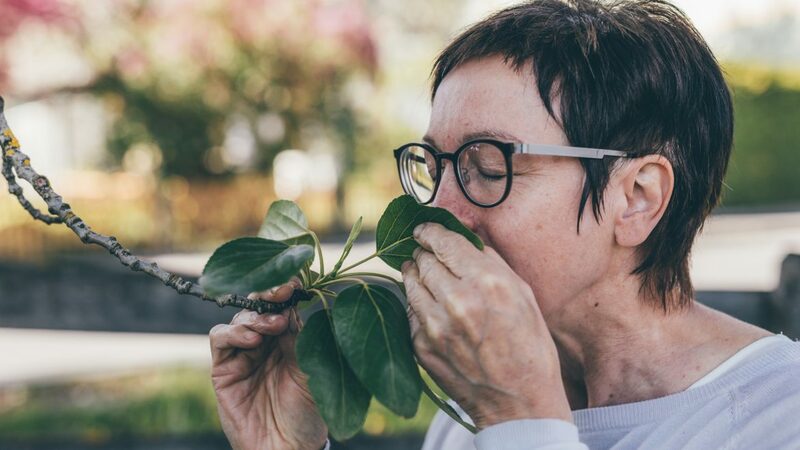 But that’s not all — Flora Löcker is also a trained practitioner of Traditional European Medicine and has written her dissertation on the healing properties of the horse chestnut. 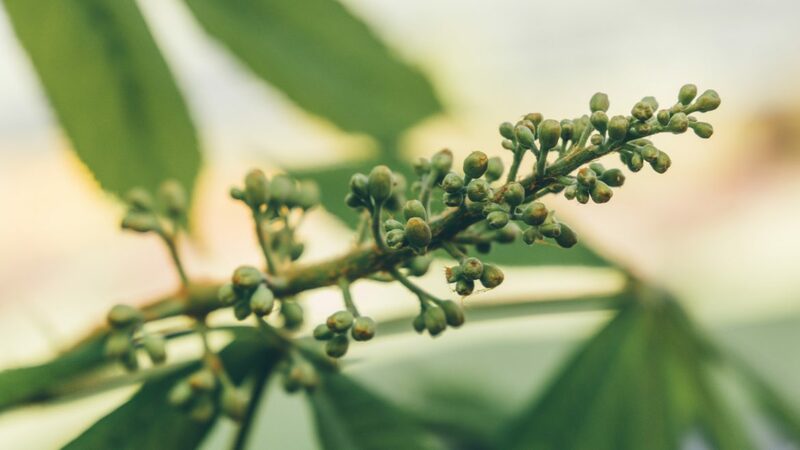 “From the buds to the leaves and the blossoms, as well the fruit and the bark, everything from this tree can be used in one way or another,” the expert explains. “It’s like that with the balsam poplar, which I had stumbled upon coincidentally. One day during early summer, I walked through the garden and suddenly realised that I could sense a rather unique, sweet, balsamic scent which promptly reminded me of my childhood. I knew right away — there’s a balsam poplar somewhere and this is what turned out to be the case. The Lungau balsam poplar (Populus trichocarpa “Lungau”) is a particularly special and rare tree — it can barely be found across Austrian forests, whereas it is known as a “house tree” in SalzburgerLand’s Lungau region and grows on farms and in small villages. 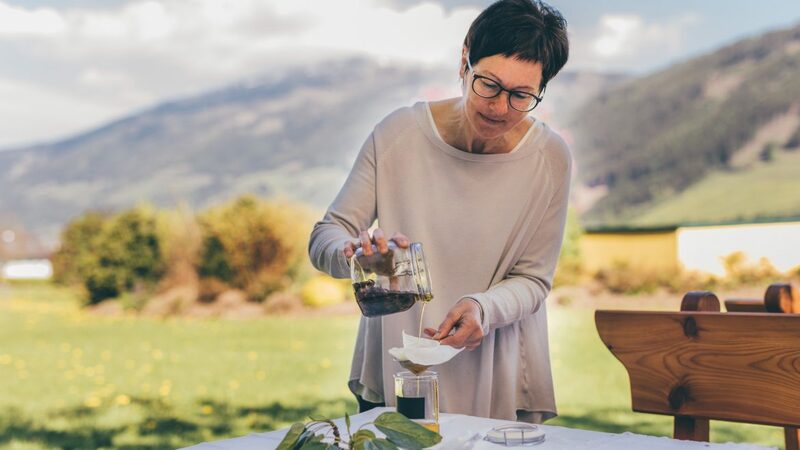 “The buds are used to make oil, which is then made into a great skin salve which the older Lungau residents are very fond of,” says Flora Löcker. “The healing properties of the balsam poplar, as well as those of the horse chestnut, have been confirmed by the German ‘Kommission E’ and is used in both scientific medicine and homeopathy alike.” Where exactly the Lungau balsam poplar originates remains a mystery even among herbal specialists — Flora Löcker believes that the plant came from North America, whereas Rosalie Hötzer from the Trimmingerhof farm and author of the book “Pflanzenreich” (Plant Kingdom) places her bets on it having arrived from Asia Minor via the Ottoman wars. Wherever it may have come from, one thing is certain — the rich effects of the balsam poplar have been known for a long time. During spring, Flora Löcker picks the poplar’s resin-rich, sticky buds and places them in cold-pressed olive oil for four to six weeks. Then she filters the oil and processes it into the salve. The buds can also be used to make a tincture, which can then be added to the salve as well. “The balsam poplar reduces fevers, is diuretic, decongestant, nurtures the skin and has anti-inflammatory properties as well. I use it for wounds and scars as well as for cold sores, bruises, burns, but also for broken bones, rheumatism or gout,” explains Flora Löcker who, being a gastronome, is also familiar with the balsam poplar’s culinary properties. And it’s not just deciduous trees but also coniferous trees that are well known for their healing effects on body, mind and soul. Not far from St. Margarethen, at the foot of the Aineck mountain, there is Europe’s biggest continuous pine forest — from the Salzburg region of Lungau across more than one hundred kilometres to Judenberg in the east and to the Millstätter lake in the southwest. The Alm.Gut spa hotel in St. Margarethen has fully dedicated itself to this natural Alpine remedy — science has known for quite some time that stone pine wood as well as other coniferous trees make the heart beat more slowly and have several regenerative effects on the body as well. The stone pine is a typical Alpine tree — it only starts growing at a sea level of approximately 1,3000 metres and is very widely distributed in the region of Lungau. At the Alm.Gut hotel, guests may enjoy massages with stone pine stamps, aroma therapies, stone pine sauna visits or even stone pine honey baths. An ancient household remedy from Lungau is a pitch salve made from the resin of coniferous trees. Spruce, larch, pine and firs make up the resin (pitch) that can be used for small wounds that used to be incurred during wood harvests or due to woodpecker holes. The shiny golden pearls are carefully scraped off the surface of the bark with the help of a knife as to prevent any further damage to the tree. “It’s permitted to collect small quantities of pitch for personal use. For larger quantities, it’s best to contact the owner of the forest,” explains Flora Löcker. In Norway, the pitch salve has even been tested clinically — with excellent results. Pitch is a panacea. It has germicidal, antibacterial, anti-inflammatory and astringent properties, which explains the excellent effect on healing tissue, just like the tree. The salve can also be used for more serious issues such as rheumatism, gout or coughs. The pitch works like a blistering ointment, but it can also be used for cold sores. Back in the day, loggers used to chew on pitch and always had perfectly white teeth. Mix the pitch and the oil together in a pot and heat it slowly on the stove. If the pitch contains a lot of bits of bark, increase the amount of resin a little. The herbs can be added during the melting process, let it simmer for a quarter of an hour. Once the pitch has melted completely, drain the herbs and the bits of bark. Add beeswax to the clear oil/pitch mixture and let it melt as well. The wax makes the salve nice and smooth. Pour the hot salve into jars while it’s still liquid and let it cool for a while. Only then close it.